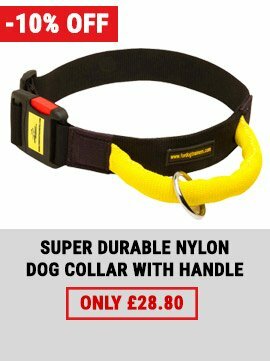 Are you looking for a Staffy dog lead? Pay your attention at our very comfortable handcrafted, round leather dog leash for American Pitbull, Staffordshire Terrier and Amstaff. This model is intended for walking and tracking with your beloved dog. 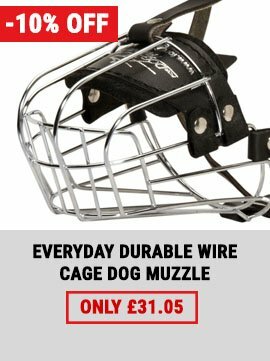 Our designer dog leads are used and recommended by professional Pitbull & Staffy trainers. 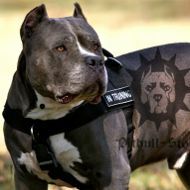 We want you to be confident while walking with your Pitbull or Amstaff. 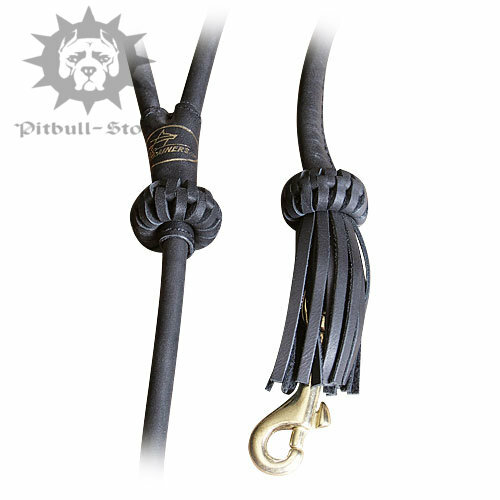 That's why this top quality and luxury Staffy dog lead is produced with hand stitched brass snap hook. It is really easy in use and corrosion-resistant. Also we stitched the round leather dog leash to make it more strong and time-proof. Try our designer dog leads once and you will love them! 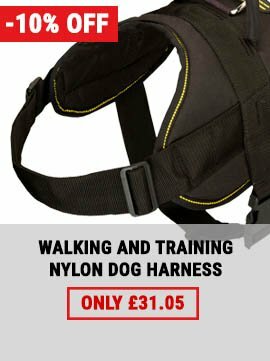 Check out this awesome designer dog harness to match your new lead. See our article Retractable Leash VS Usual Lead and buy the best for your Staffy.